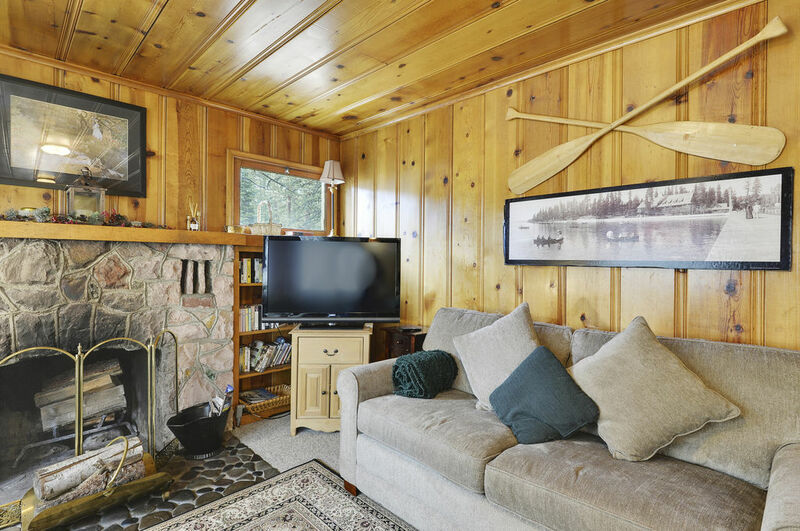 Dog-Friendly - Kings BeachSteelhead Mountain Retreat is the quintessential North Lake Tahoe family cabin, the kind you might remember visiting from childhood. 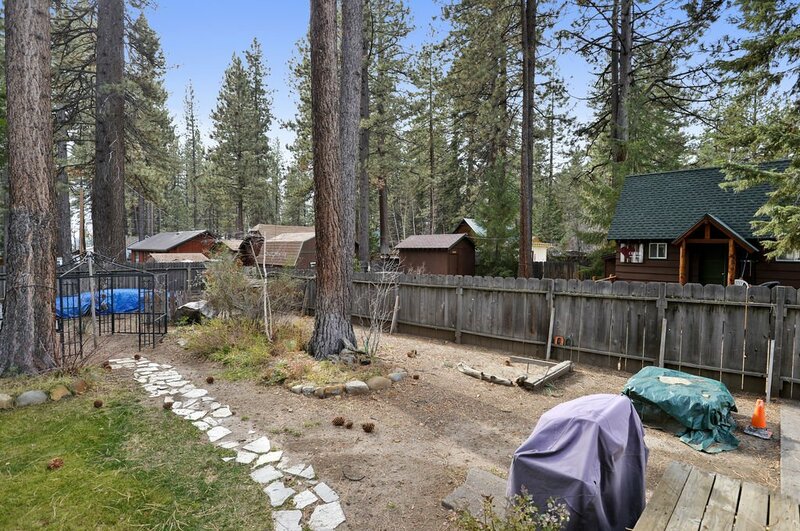 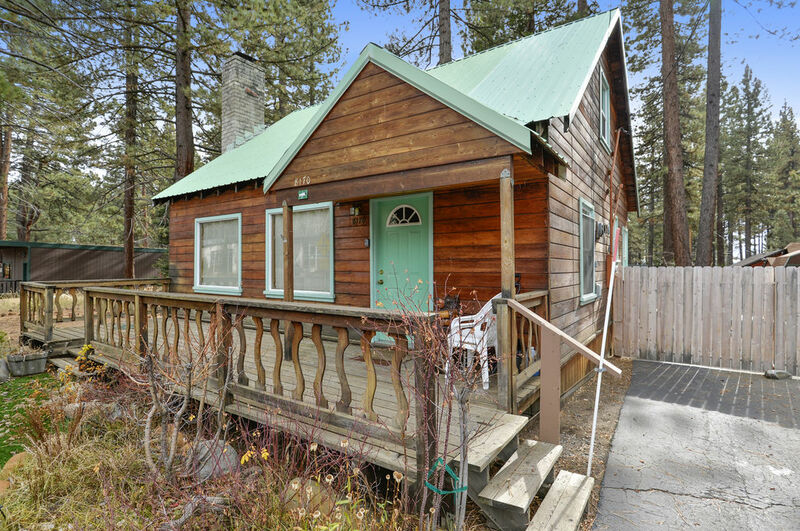 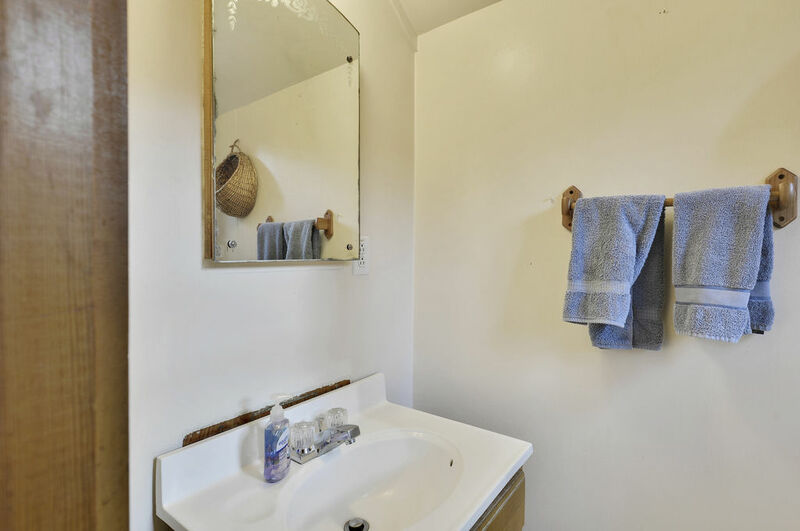 The 3 bedroom 1 1/2 bathroom vacation home is situated in the family-oriented North Shore neighborhood of Kings Beach on Lake Tahoe. 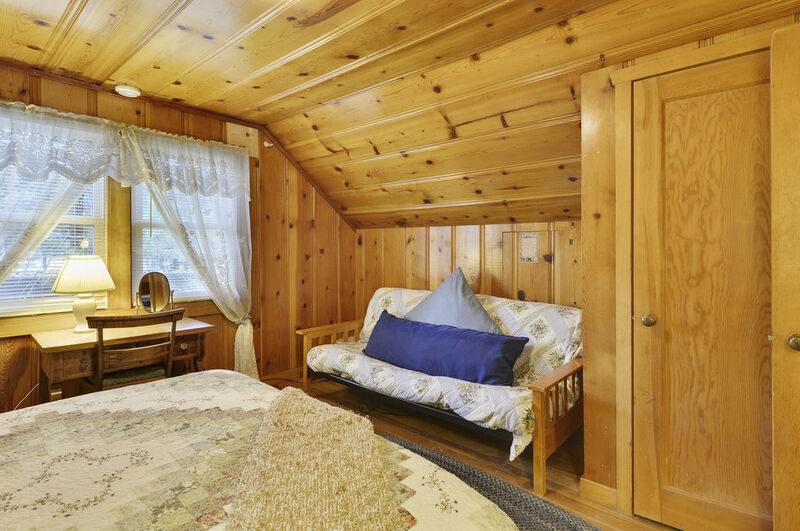 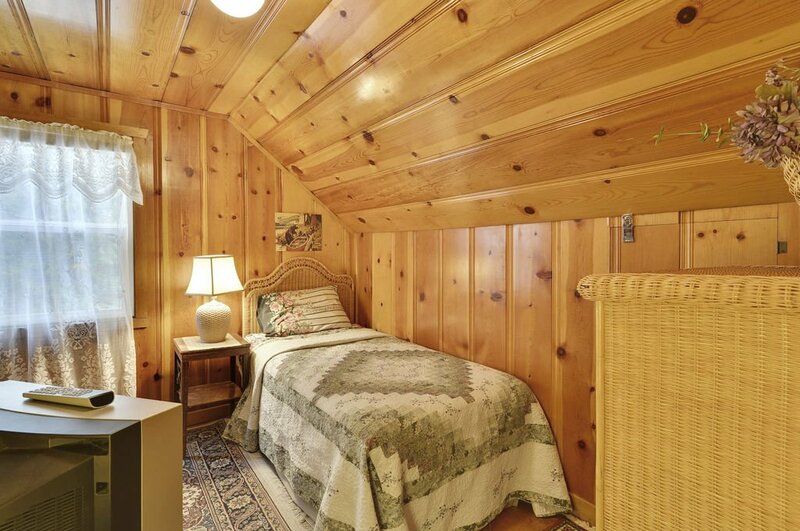 Steelhead Mountain Retreat is the quintessential North Lake Tahoe family cabin, the kind you might remember visiting from childhood. 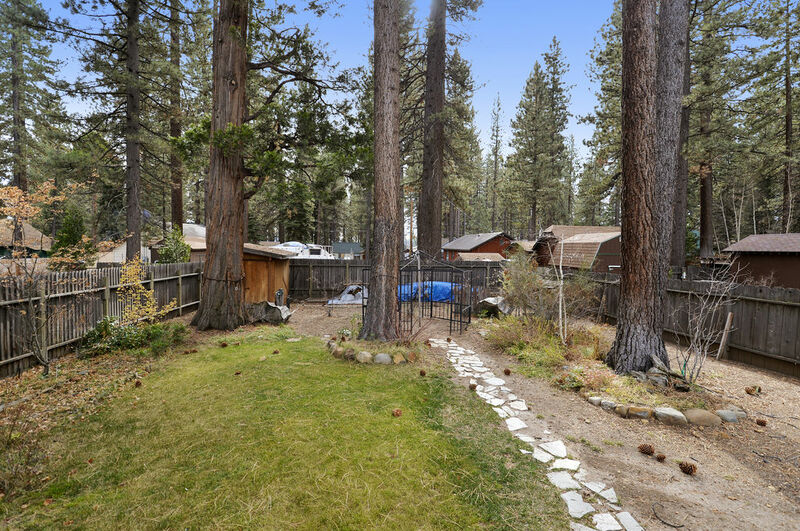 The 3 bedroom 1 1/2 bathroom vacation home is situated in the family-oriented North Shore neighborhood of Kings Beach on Lake Tahoe. 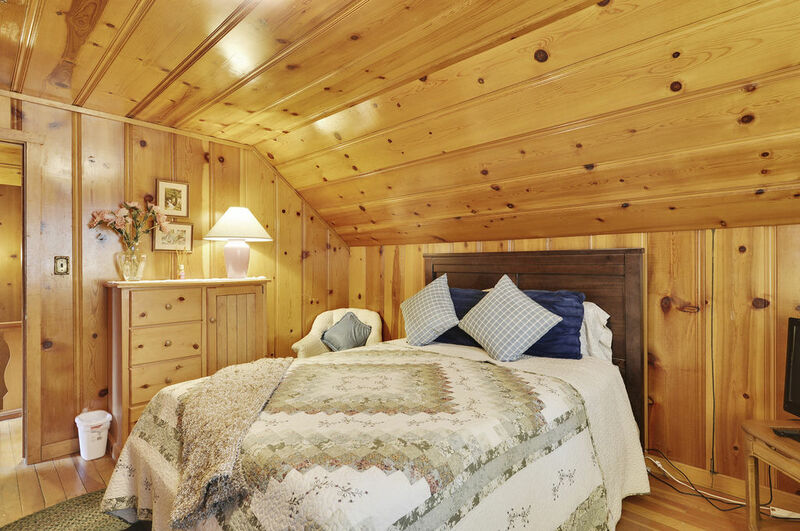 This vacation rental is perfect for a family or small group interested in skiing at Northstar at Tahoe ski resort, one of Lake Tahoe’s most family-friendly ski resorts. 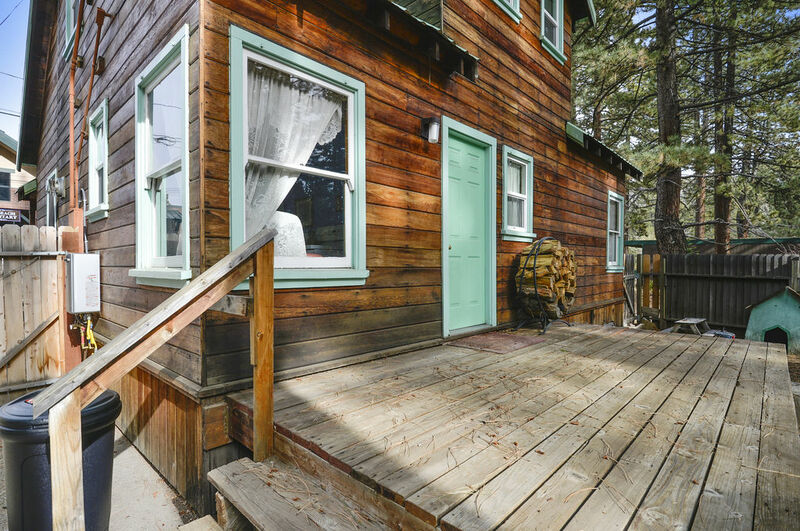 Kings Beach also offers a large supermarket, a movie theatre, some great restaurants ( try “Lanza’s”, a family-style Italian restaurant that has become a Tahoe staple for generous, reasonably priced meals), and shopping. 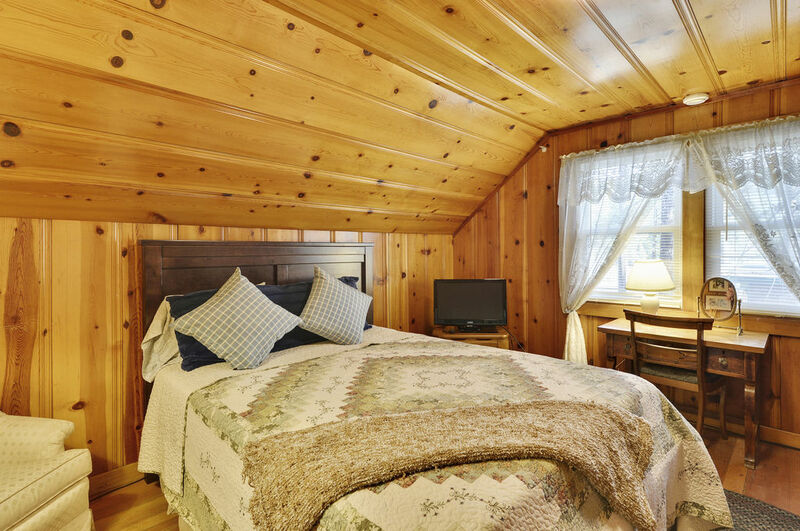 Drive less than 5 minutes to the Nevada state line for big-name music and gambling at the North Shore Casinos. 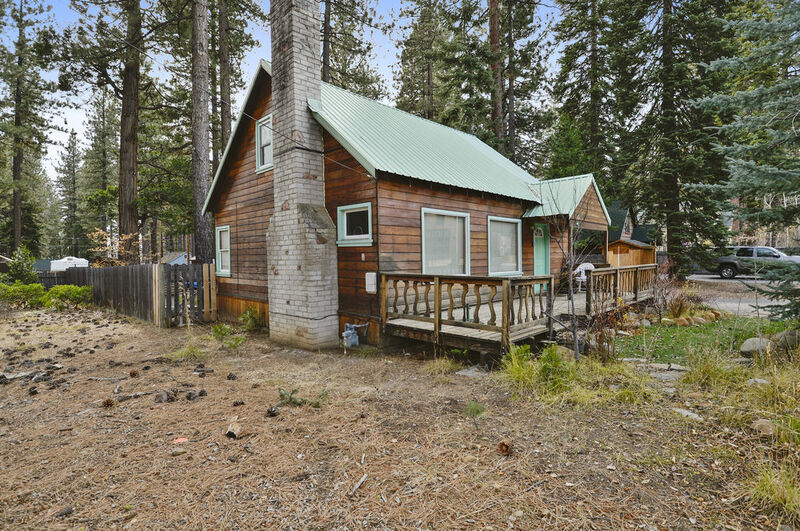 The house is situated on a large lot with a front and back deck, and a spacious fenced in yard, which provides plenty of space for kids to build snowmen and have snowball fights, or for the family dog to play. 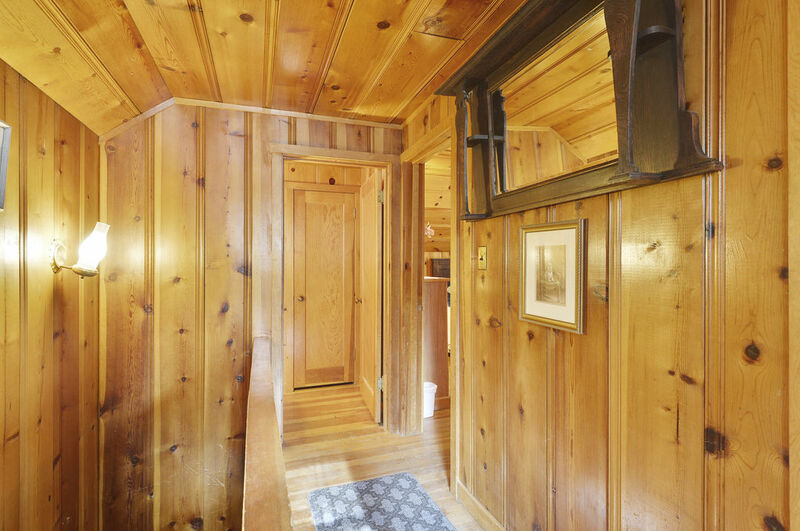 There is off street parking for at least 3 cars, so you never need to worry where guests will park during the winter. 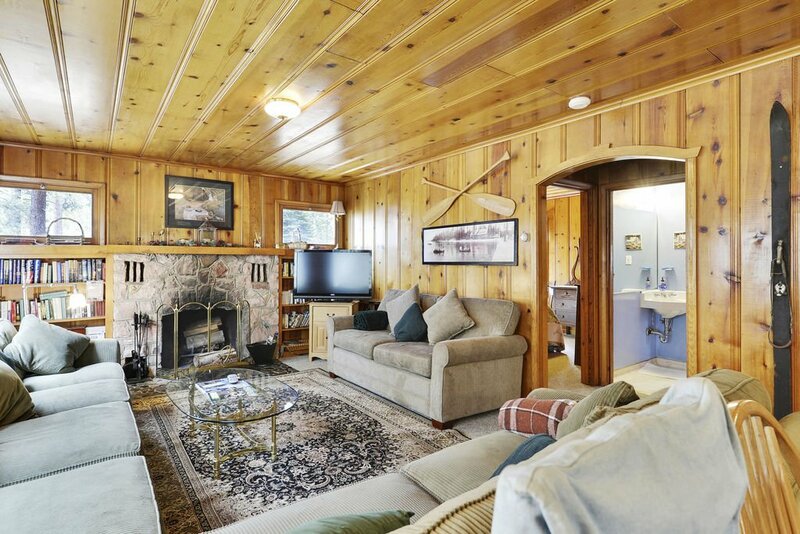 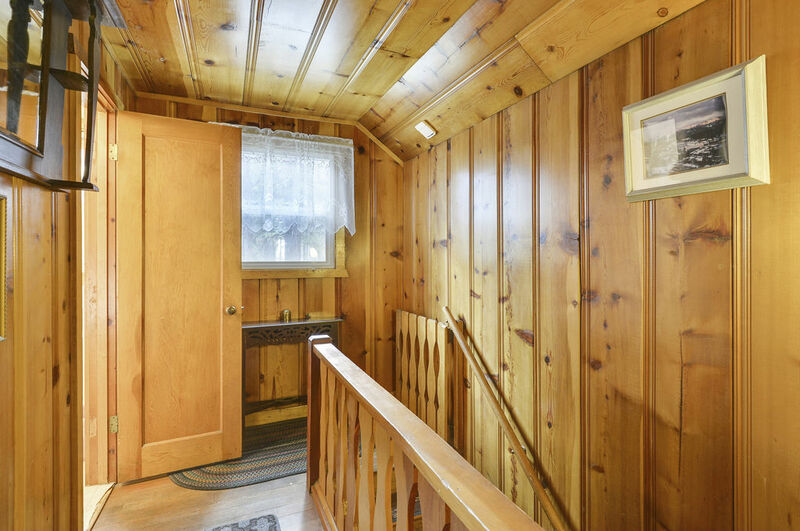 The living room at Steelhead Cottage has a relaxed mountain charm. 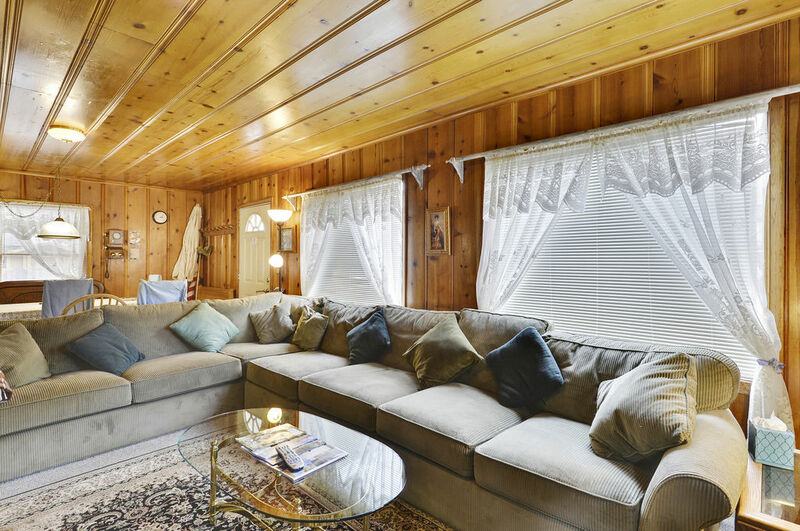 There is a comfortable 6 person sectional, a love seat and 2 armchairs gathered around the traditional wood burning fireplace. 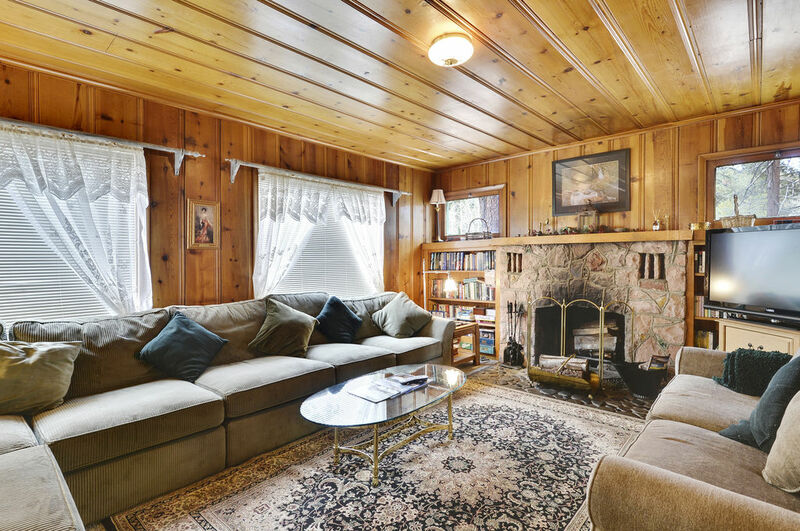 The homeowners have provided some fun board games and books if the television with its D.V.D player and V.C.R are not enough. 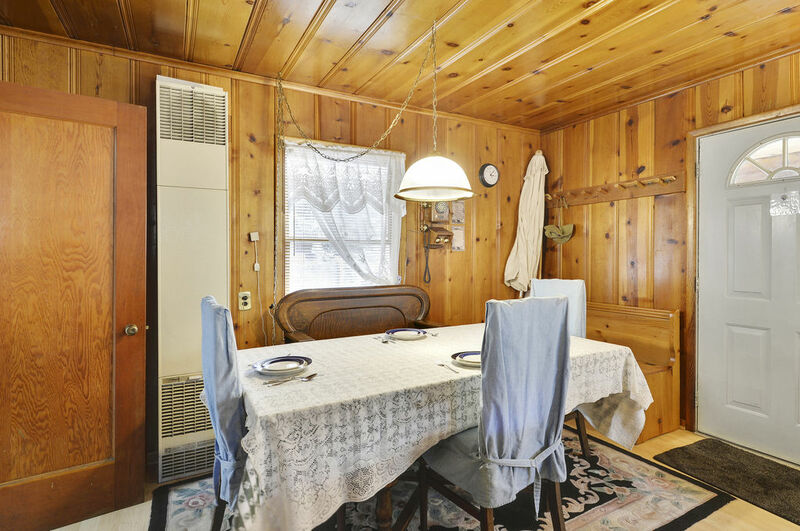 The dining area has an adjustable table that can seat up to 6 people. 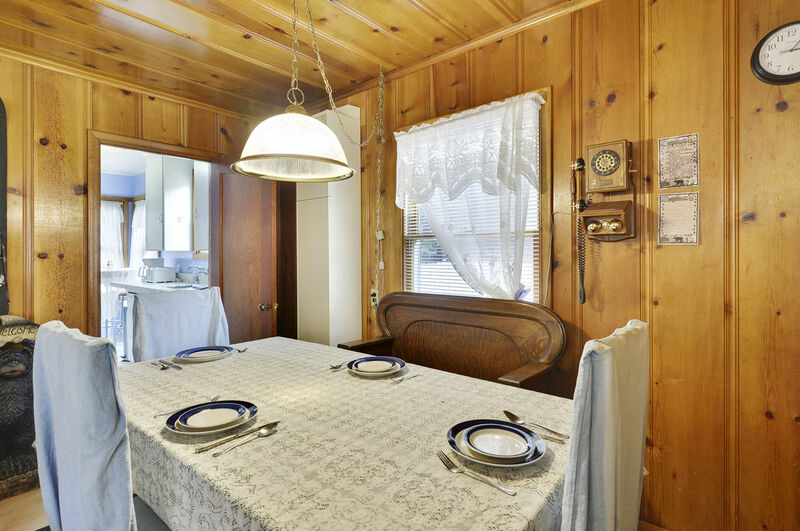 The entire living space at Steelhead cottage, much like the rest of the house, has been thoughtfully decorated with antique furniture and family keepsakes, so you really get the sense of a simple home away from home. 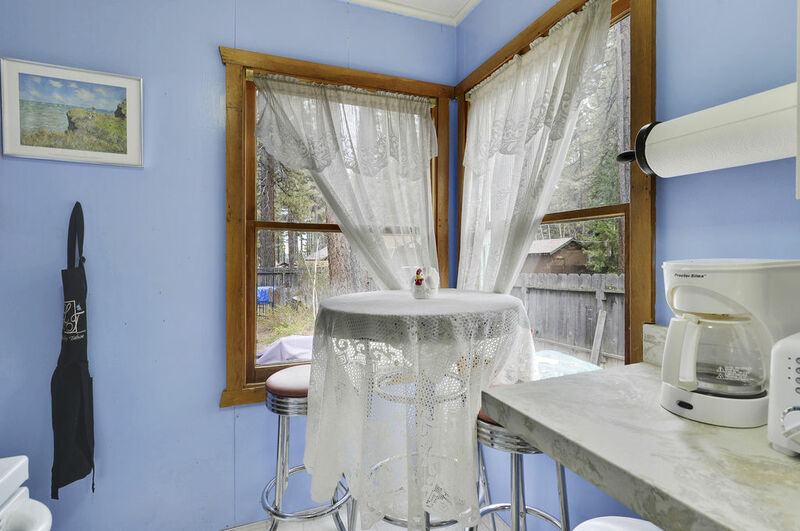 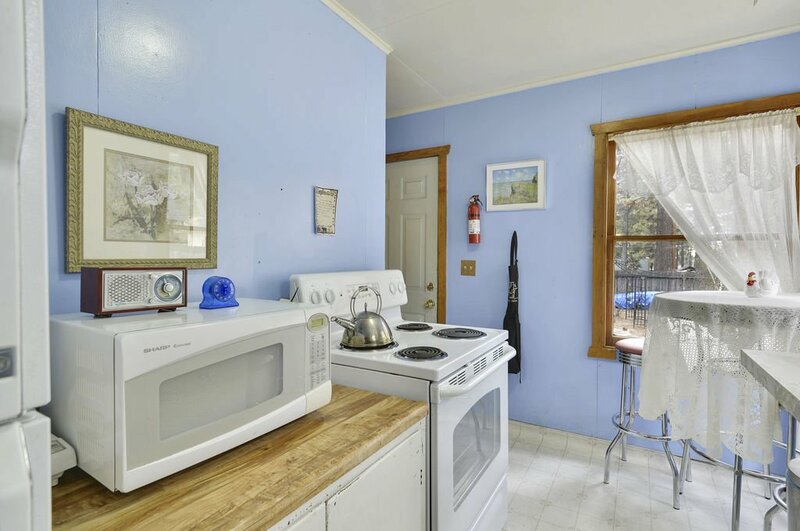 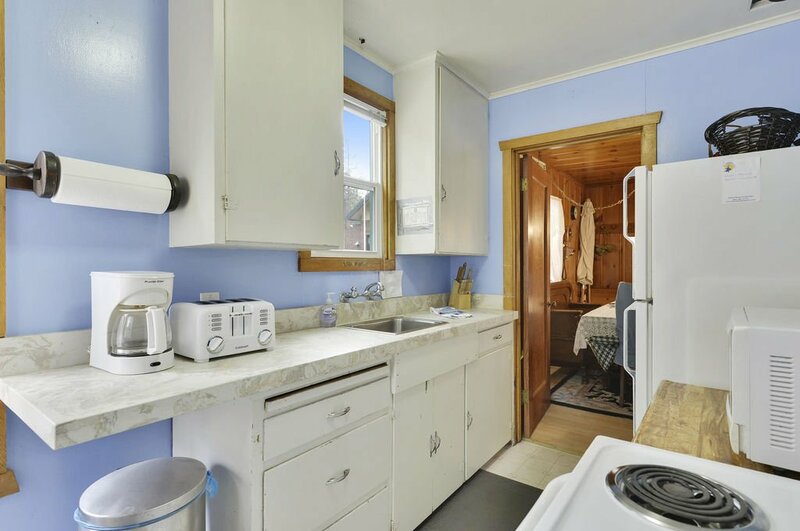 The brightly painted kitchen provides all of the essentials needed to prepare a family meal, and there are a cute 1950’s style bar table and stool set, a casual place to sit and enjoy coffee or keep the cook comfortable while a meal is prepared. 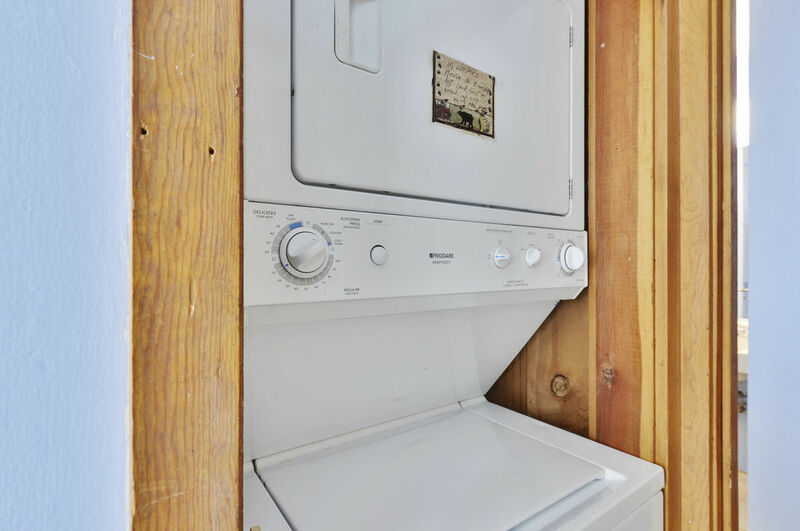 Next to the kitchen neatly kept in a cupboard, there is a stacked washer and dryer, yet another convenience of home. 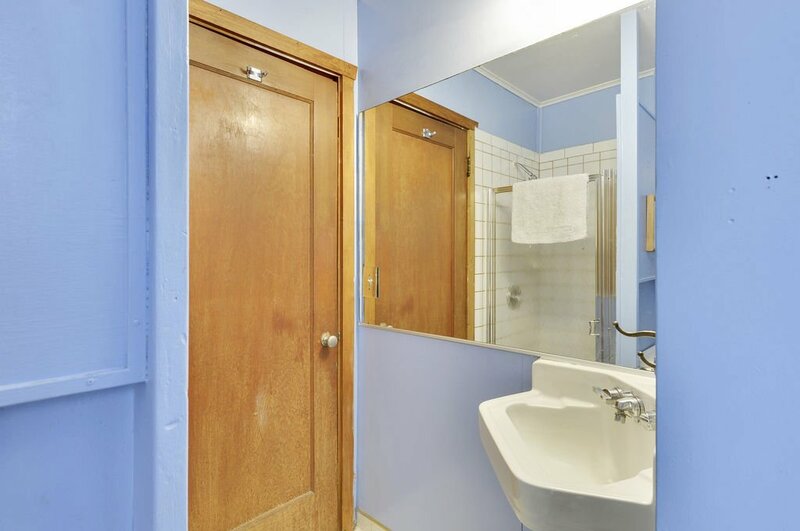 The downstairs full bathroom, directly across from one of the bedrooms, is freshly painted and features some original tile work. 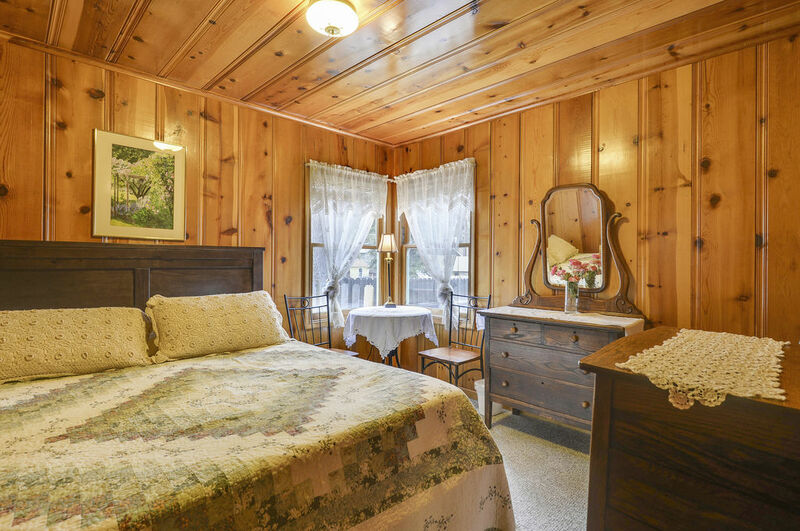 The bedroom has a Queen Bed and more delightful antique furniture. 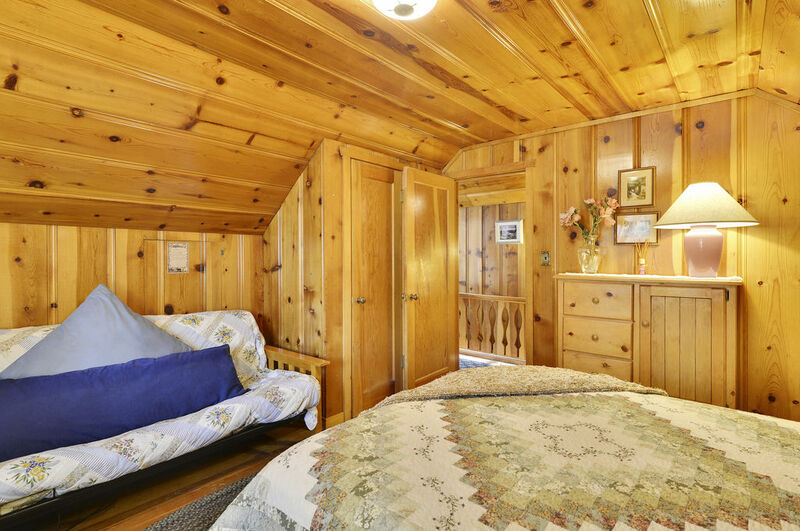 Upstairs there are 2 more bedrooms. 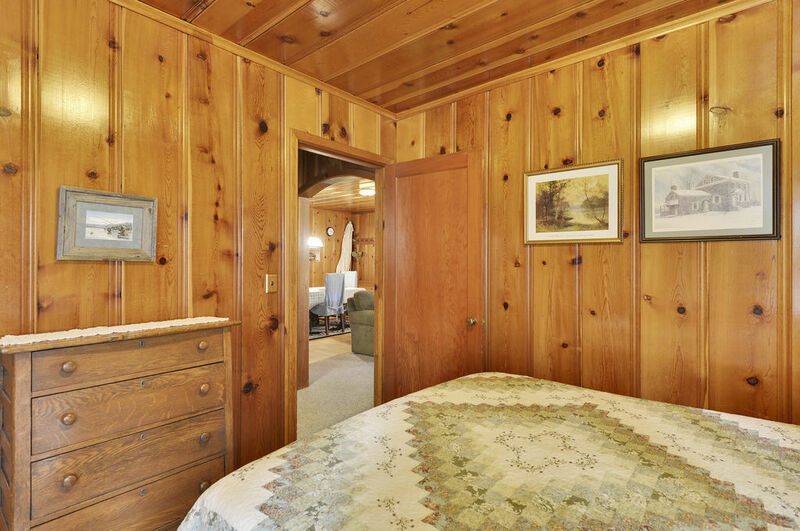 One of the bedrooms has a Queen Bed and a full futon couch, and a comfortable chair to sit and read. 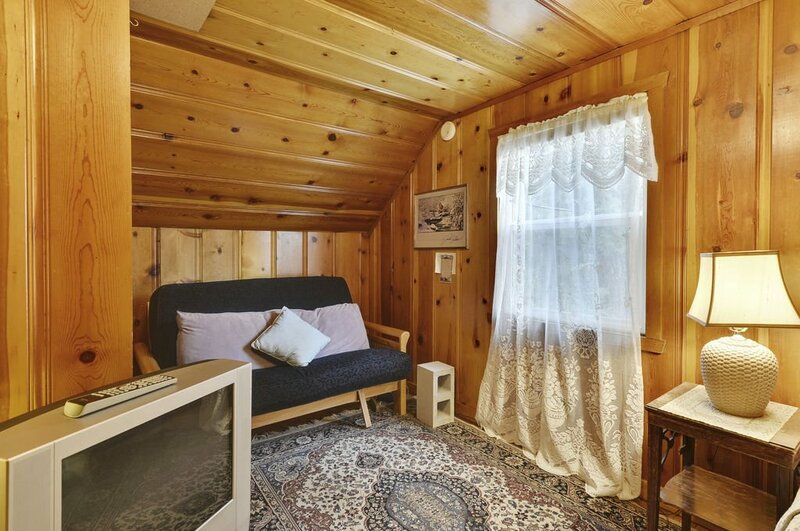 The other upstairs bedrooms are perfect for children, with its twin bed and a small fold out futon. 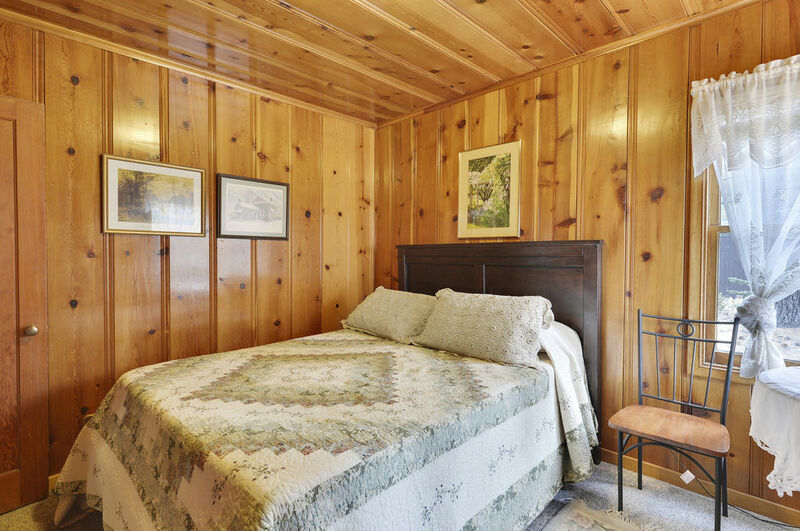 All of the bedrooms have lovely decorative features, such as an antique dressing table or pretty crocheted bedspreads, which really make the home personable. 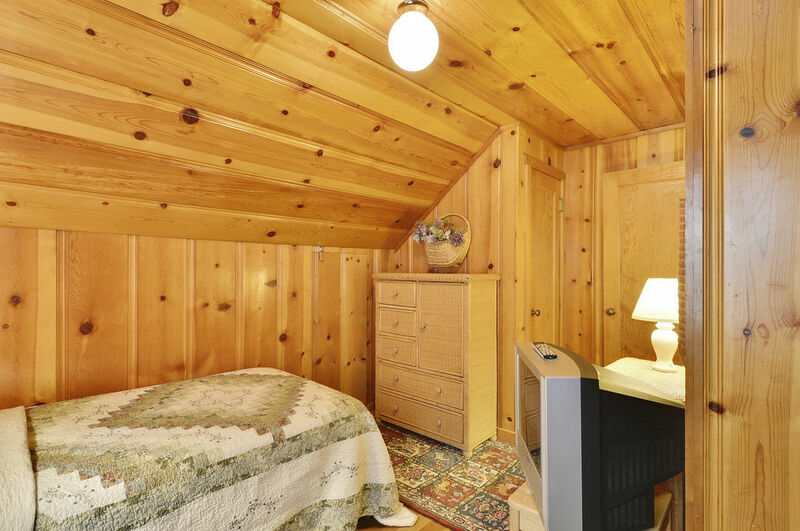 There is also enough storage space to put your clothes, so you can unpack and make yourself at home. 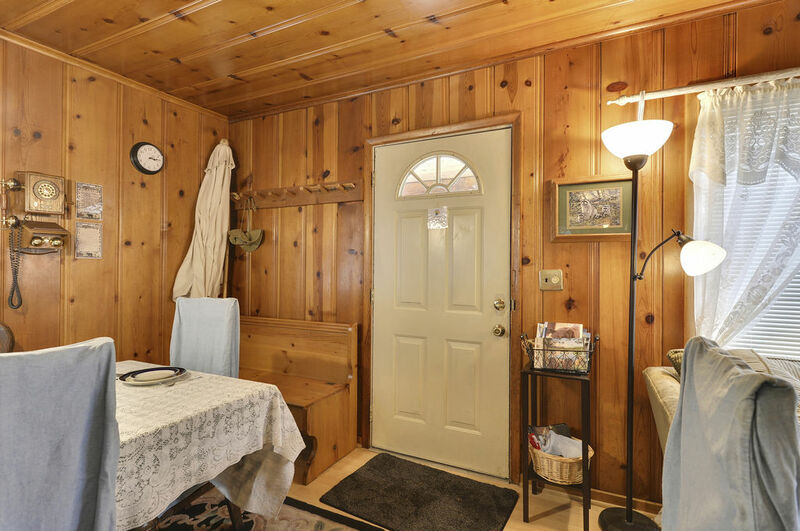 You really get the sense from Steelhead that you are a welcome guest, and that the home itself would love for you to relax, kick off your shoes and enjoy your stay. 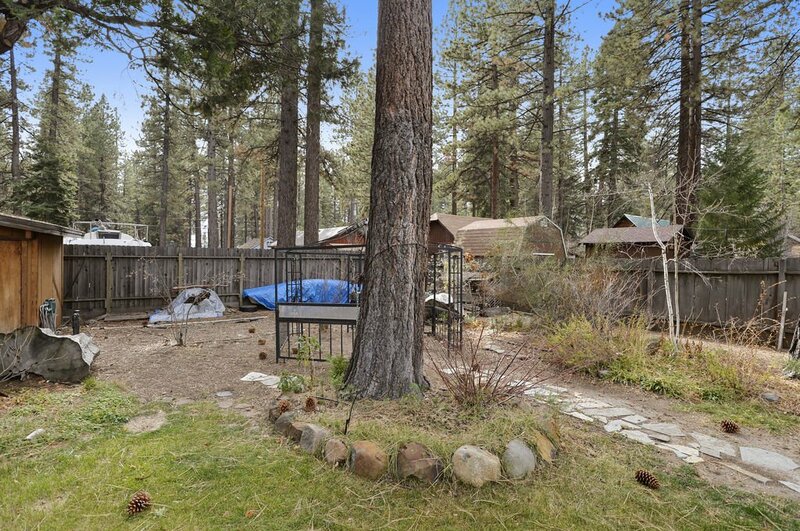 We loved the great location, large backyard for children and dogs, comfortable cabin.